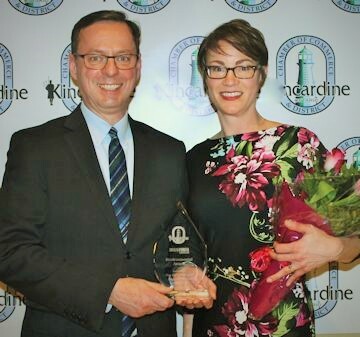 Allan Webster presented the award to PRWIN Administrator Penny Faragher Robertson at the March 25th Kincardine Chamber of Commerce Awards Gala. Pictured: PRWIN Directors Bernd Portz; Jack Campbell (retired); Don Farrell; Cathy Farrell; Gordon Cale. Previous PRWIN Employees Adrienne Mason, and Elizabeth Simpson. Bruce County Federation of Agriculture Representative Bob Bregman (retired); Contractor Amanda Hutter. The Minister’s Award is presented in “recognition for significant contribution and commitment to environmental protection in Ontario”. 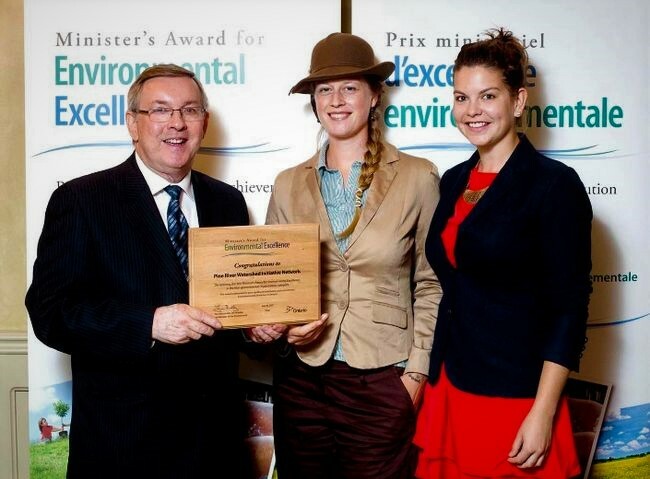 Pictured: Minister of the Environment Jim Bradley; Previous PRWIN Employees Adrienne Mason and Elizabeth Simpson.